ST. PETERS–Garbage hauler Robelto and Sons has regained its collection areas as of January 30. In the latter half of last year, the parcels serviced by the company were temporarily awarded to two other local companies with the knowledge and agreement of Robelto and Sons due to its noncompliance with the terms of the contract with government. Payments for these temporary contracts were pulled from the account of the company, so government did not pay any extra monies for the switch. A letter of default was submitted to Robelto and Sons and the Ministry of Environment and Infrastructure VROMI started the process of contract termination. Robelto and Sons objected to the contract termination triggering a legal process. On January 29, Roberto and Sons informed the ministry that it was able to fulfil its contractual obligation, and since the legal proceedings have not yet concluded, the ministry was bound to return the parcels to them, VROMI Minister Miklos Giterson said in this week’s Council of Ministers Press Briefing. The two other companies were informed that their temporary services would no longer be needed by government. Giterson has instructed the Department of Infrastructure, under which garbage collection contracts fall, to keep a very keen eye on Robelto and Sons and its collection performance going forward. “If they are found to once again not comply with their obligations, I will immediately terminate the contract as per default letter,” the minister said. 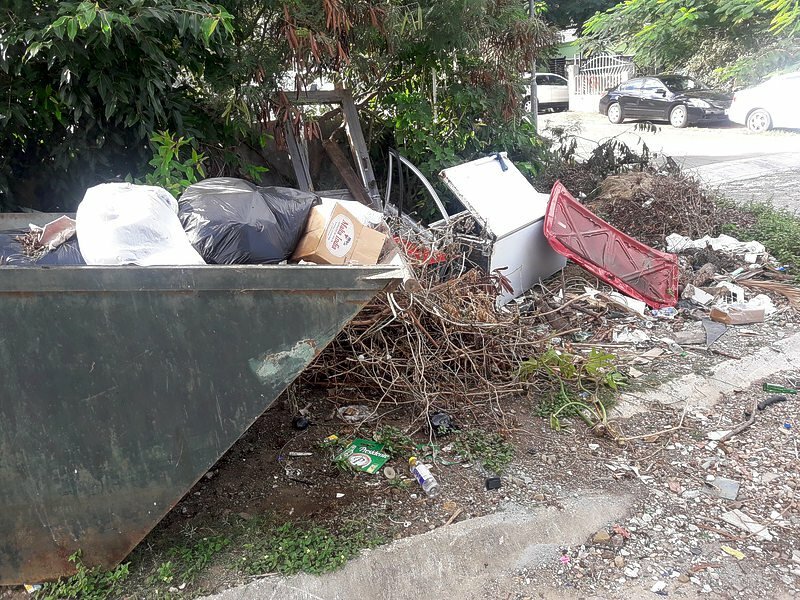 Robelto and Sons is responsible for garbage pick-up in St. Peters, South Reward, Retreat Estate, Ebenezer, Betty’s Estate, Saunders, Mary’s Fancy, Coralita Road, Zager’s Gut and Bush Road, among others. Dit bericht werd geplaatst in Milieu & natuur, SXM-Daily Herald. Bookmark de permalink .